If you have received a box version with a Product Key, or a digital download with a Product Key, you need to register this code at My Trainz. NOTE: Some versions do not require a Product Key (e.g. Digital Downloads and Mac USB editions ordered through TrainzStore, all orders through Apple Mac store, all orders through Steam). Click on the Serial Number link in the left hand menu. Enter your Product Key then click the Submit button. If your Key is valid, you will receive a success message and your Key will be listed below. 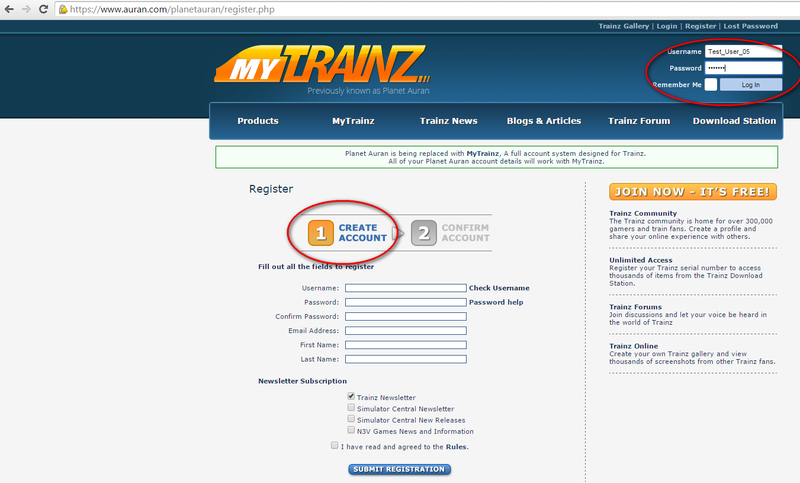 For AppStore and Steam editions of Trainz, simply enter your username and password into the Trainz Settings. 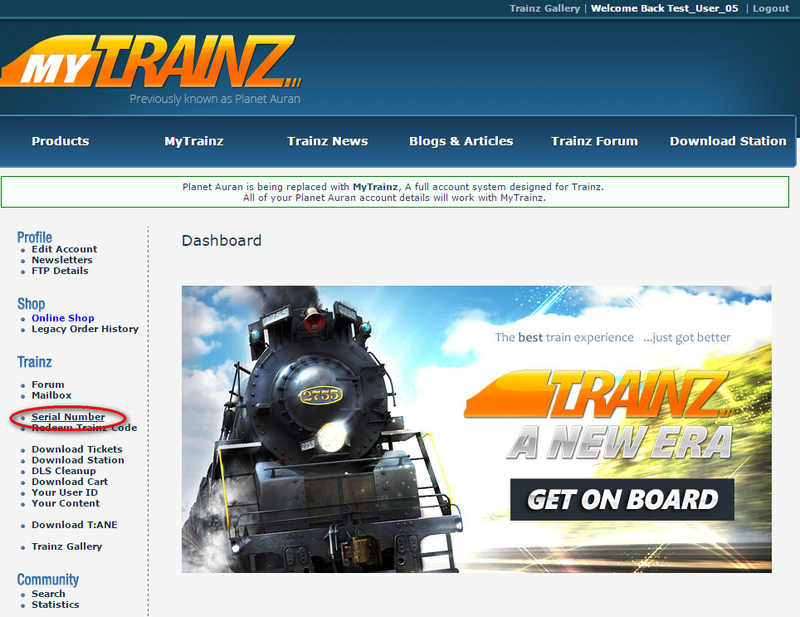 When Trainz logs in for the first time, it will register in your account. For Digital Downloads and Mac USB editions from the Trainz Store, the Trainz Store will automatically register these into the account they were purchased through.